After interacting with hundreds of therapists online and face to face I’ve chosen several practice resources to help you start, grow and scale your business. If you dreamed about owning your practice but don’t know where to start. If you’ve spent countless hours on the Internet trying to find the right answers. And you still haven’t got your business off the ground. 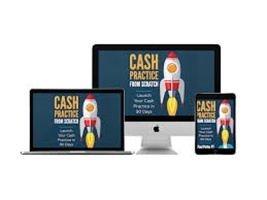 The Cash Practice From Scratch will show you how to start a profitable practice with little to no cost and risk. 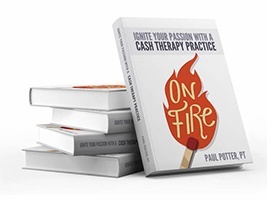 The book On Fire: Ignite Your Passion with a Cash Therapy Practice, provides an honest discussion and practical direction to help providers who are thinking about a new career path. The book includes a candid evaluation of the changing healthcare environment and why there is a surging interest in alternative business models. The book is my manifesto on why we need to disrupt the business as usual mindset and innovate new ways to deliver affordable care. For those of you interested in starting a private practice and being a part of a learning community, Scott Harmon’s membership program provides all the resources, training and support you’ll need.  Belonging to Scott’s Academy of Private Practice gives you access to video course, monthly masterminds, community forums and an extensive resource library. Aaron Lebaur’s basic forms starter kit is designed for small cash based therapy practices to help therapists document efficiently, maintain compliance as well as communicate with other providers and insurance companies. These templates will get you started with a simple form of documentation and management tasks. All of the included forms, except the outcome measures, are in Microsoft Word format and can be customized by you and personalized for your practice. 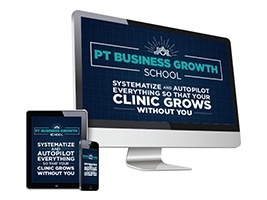 Physical Therapy Business Growth School is Paul Gough’s flagship business building course. It is a video seminar package combined with expert coaching from Paul and other industry experts. Paul shows you how to implement his cash based systems to grow your practice and make it profitable. It’s suited for established practices who want to take their practice to the next level. 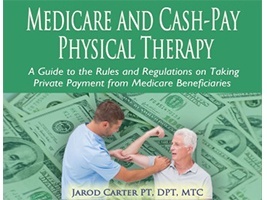 Dr. Jarod Carter does an amazing job in navigating the confusing world of Medicare regulations for cash-based practices. 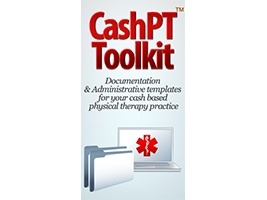 His ebook is an excellent resource for understanding what healthcare professional can and more importantly cannot do when it comes to Medicare beneficiaries and cash pay services. Ready for the next step? Got a question? Schedule a FREE strategy session with Paul today!